My father spoke to me from the grave today. I was in the garage looking through old family pictures that were stored in a box and long ago forgotten. Amongst the mostly black and white pictures was an envelope containing letters and telegrams that my father had sent to me when I was a baby. 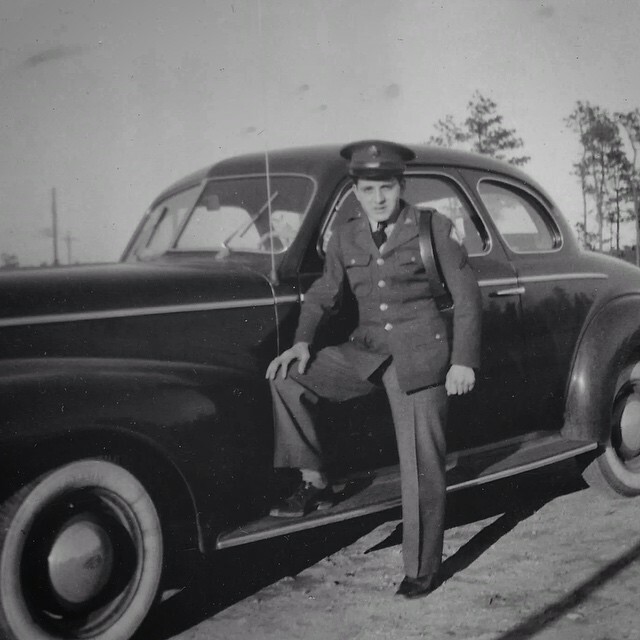 I was born while he was in Italy serving in the army during World War II. He was Sgt. Natale A. Romano. I was named after him. For the first two years of my life my mother and I lived with my grandparents, Anna and Eugenio Cavalieri, and her sisters and brothers in a tiny apartment on Sheafe Street. 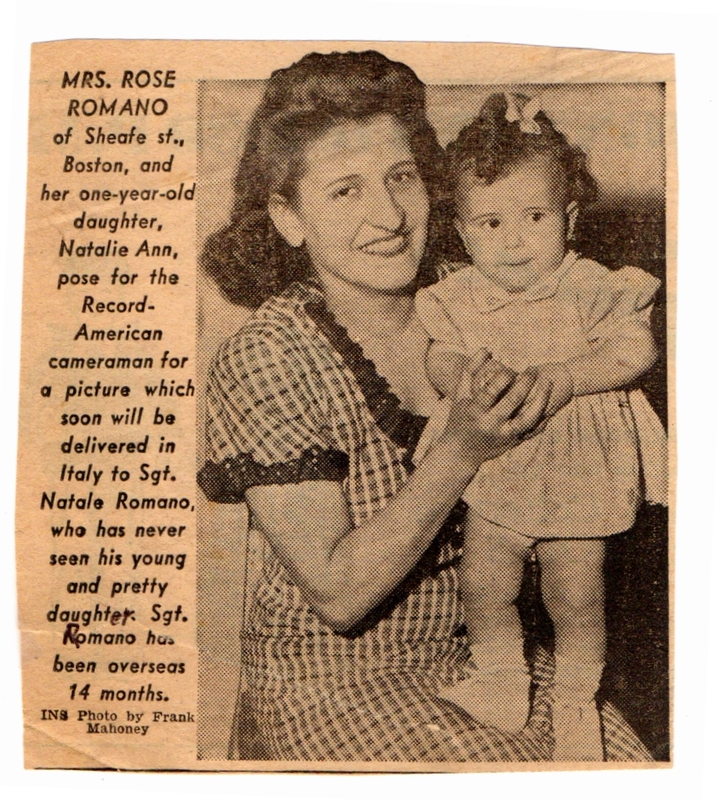 My grandparents, Italian immigrants, had nine children. My Aunt Vera was just five years old when I was born. I was the first granddaughter. I’m sorry that I don’t remember anything about those first years of my life. All I have is pictures and these letters from my father. And anecdotes. Natalie. I enjoyed your article. I was wondering if you are related to Frank Romano? I went to the Eliot with him. I have two cousins named Frank Romano. One is a year older than I am and the other Frank is younger. Maybe the younger Frank was at the Eliot with you. Thanks for sharing a wonderful anecdote and a cherished memory. Great story Natalie. Your Dad like mine were warriors although they were so gentle at heart. They had no choice. The greatest generation for sure. Great story, Natalie. I know that you and your Dad became quickly acquainted and you were the “Queen of your domain.” Thanks for sharing your story. Natalie Thank you for sharing such a wonderful Story about your Father. We honor all the men who served in World War II as this Memorial Day approaches. It is so special that the letters where saved! When you opened that envelope and found those letters and pictures, it must have felt like you found a treasure, and it really is just that – a treasure! It was a heart-warming story and I thank you for telling us about it. What nice memories!